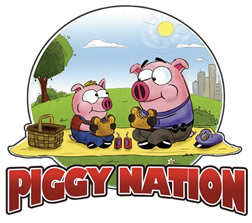 Piggy Nation Comic – We found some irresistible deals! 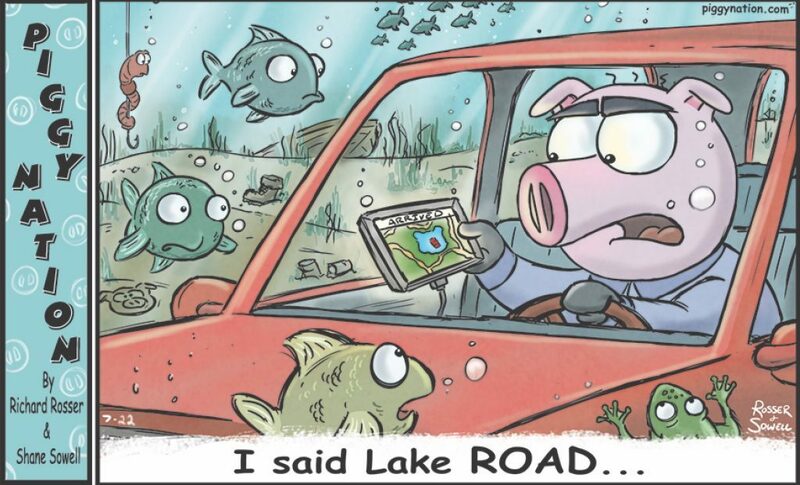 Piggy Nation Comic – I Said the Lake ROAD! 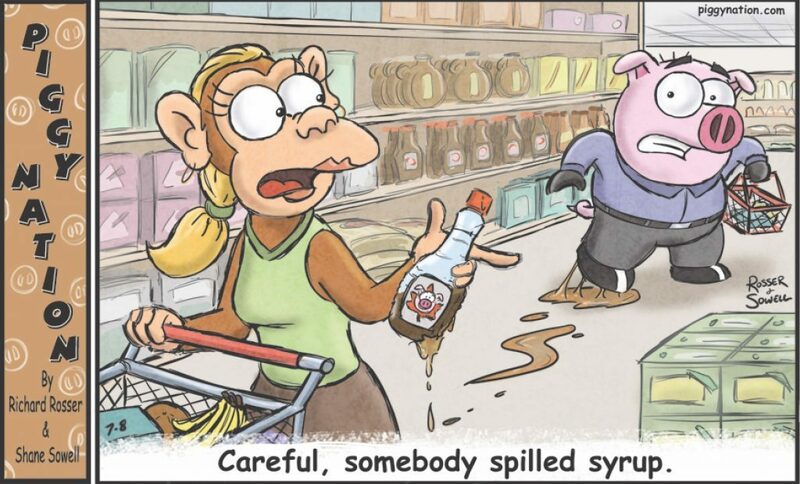 Piggy Nation Comic – Careful, somebody spilled syrup! 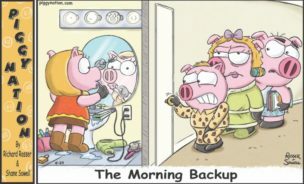 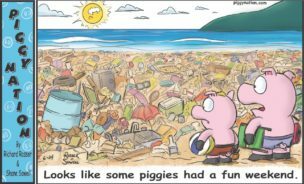 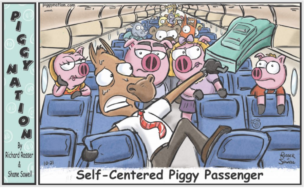 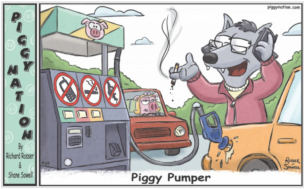 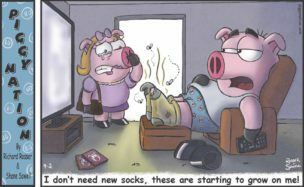 Piggy Nation Comic – Looks like some piggies had a fun weekend! 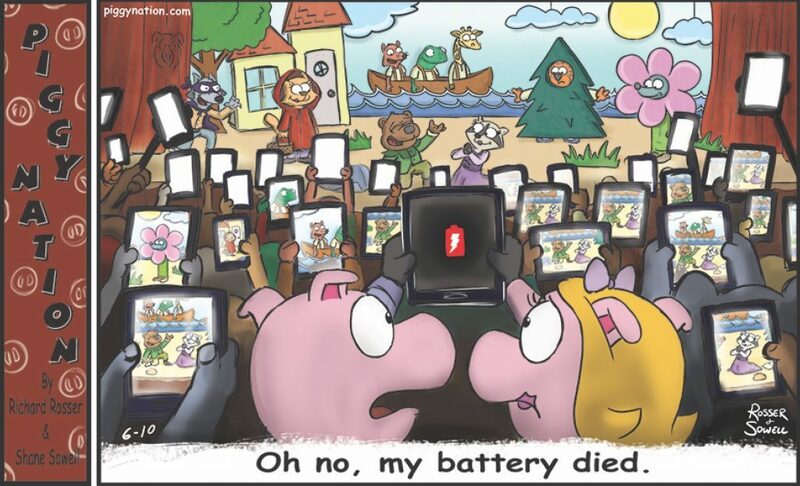 Piggy Nation Comic – Oh No, My Battery is Dead! 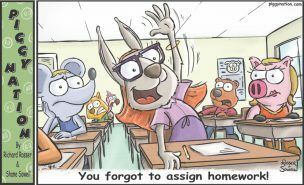 Piggy Nation Comic – You forgot to assign homework!